← Does Green Tea Have Any Benefits For Your Hair? Using green tea is quite simple. The easiest way is to drink the tea. You can mix green tea leaves with other beneficial ingredients like honey or turmeric to prepare potent face masks or face packs – you can also use these to enhance hair health. Alright. So what fun would it be without knowing the facts, right? Green tea preparation is different than that of black tea that we make at home. You need to follow some simple steps. While making green tea, do keep in mind that if the tea leaves are steeped in water that’s over 80-85°C, the tea will become bitter. So, steep it in water that’s not too hot. Here are the steps for green tea brewing with leaves. FRESH Green tea leaves – the basic quantity would be 1 teaspoon for 1 cup of green tea. A washed and dried tea strainer. Take one teaspoon of green tea leaves. 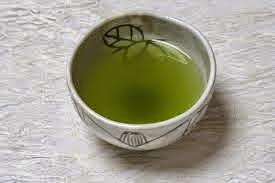 If you want to make more than a cup of green tea, take 1 teaspoon of green tea leaves for each cup. Now, take the tea leaves in a strainer/sieve and keep aside. Now, take a tea pot and the water. If you want to use a glass teapot instead, go ahead. The ideal temperature for green tea is 80°C to 85°C, so keep an eye on the water to make sure it’s not boiling. If it starts boiling anyway, just switch off the gas/heat and let it cool for a bit (say, for 30-45 seconds). Now, place the sieve/ strainer over the cup or mug. Next, pour the hot water into the cup and let the tea steep for 2 minutes. This is the step where we need to be very careful. Not everyone likes their tea strong, so, to check whether the tea is just right, keep a spoon handy and drink a spoonful of tea every 30-45 seconds to find out if the flavor is right for you. Now, take out the sieve and keep it aside. If you want, you may add 1 teaspoon honey. Stir the honey in and let the drink cool for a few seconds. Enjoy your cup of green tea. This entry was posted in Green Tea Health Benefits, Green Tea Remedies. Bookmark the permalink.